Summer Of LEGO is starting to feel a bit long to cram into my title every day. Let’s go with… SOL. Yeah, that works and has no other meaning that I am aware of, conveniently. There, that’s settled, let’s move on. Who doesn’t love a pug? 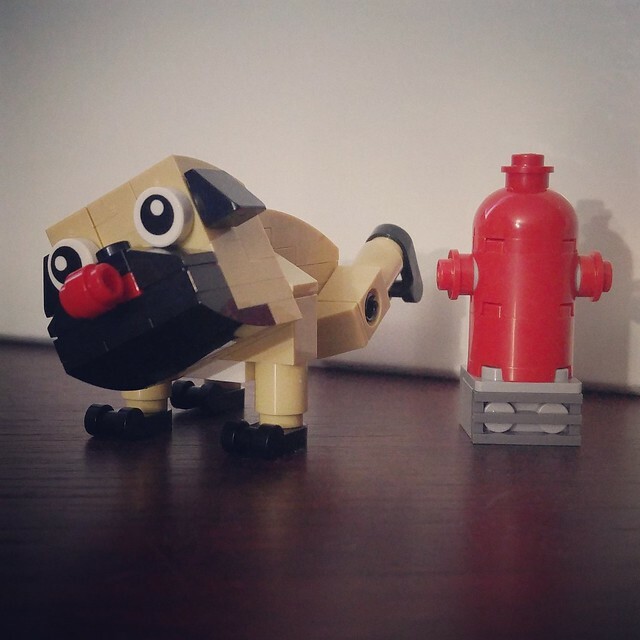 They’re one of my two favourite dogs and after owning more than one of the other, I’m over Chihuahuas… This is a cute polybag with a couple of neat parts, but it’s really just a funny build that’s hard to pass up for four or five bucks. That’s enough tiny sets for now. Tomorrow will be something BIG! Ant-Man & The Wasp Now In Theatres!